As a molecular biologist trying to develop interdisciplinary connections, I was very fortunate to have the chance to participate in The Third A3 Roundtable Meeting on Asian Chemical Probe Research Hub. 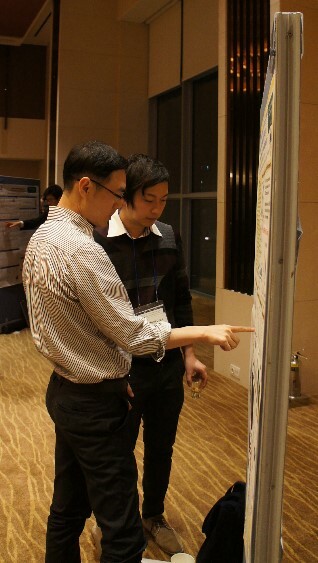 I was able to introduce my studies to researchers from different fields and countries. I prepared a research poster presentation, showing a chemical probe for the fluorescent visualization of hydrogen peroxide produced in tumor tissue. Because my research is mainly focusing on imaging techniques and biological data, I have not had many opportunities to present my research to researchers in chemistry. Fortunately, as the participants of the A3 meeting were from diverse backgrounds, not only researchers doing similar researches to me, but also researchers from totally different areas visited my session to give me several suggestions. This was a very good opportunity for me to reconsider the significance of my study in general and to discover different approaches to improve my research. Oral presentations by leading scientists from Asian Countries were also impressive and I found the chemists and biologists cooperative with each other in many ways more than I expected. Diverse research efforts like this are becoming mainstream these days. Regarding making connections, I would also like to note that this meeting was a great place to develop not only scientific connections but also friendships with many scientists and students from Asian countries. I was grateful to exchange contact information with some of them. I felt that the attendees from China and Korea are very pro-active in communicating with others, and I can learn from their example. I would like to keep in touch with them and I believe it will be helpful for me to do better science in the future. Also, I want to thank the Japanese students who kindly accompanied me, and hope to collaborate with them if there are any further opportunities. Lastly, I wish to express my sincere appreciation to the JSPS A3 Foresight Program for their support and thank the host Professor. Park’s laboratory, organizing of the meeting. I would also like to thank Professor. Ueda at Tohoku University for choosing me as a participant. I would like to use this great experience for the promotion of future science and scientific collaboration throughout Asia.